Native American Programs Many Nations. One Community. Welcome! Come experience what it is like to be a Coug! 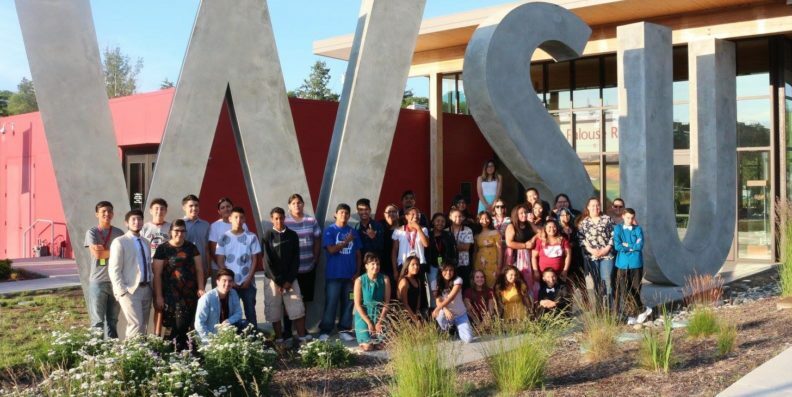 We at WSU Native American Programs are delighted to offer special tours that not only give potential Native students a taste of life at WSU, but to familiarize them with all of the services and opportunities WSU has to offer Native students. Please fill out the Visit Sign-up form so we can create an experience specifically for you or your group. Just a few options available for your visit are financial aid and admissions presentations tailored for Native students, a planetarium, a Native student panel, an entymology museum, the always popular Ferdinand’s creamery, and more! If you have any questions, please call Tony Brave at (509) 355-6718 or send an email to anthony.brave@wsu.edu.